The other two threads had problems with the OP. One of those damned it you do damned if you don’t delete. So here is a thread for the comments you may have made. 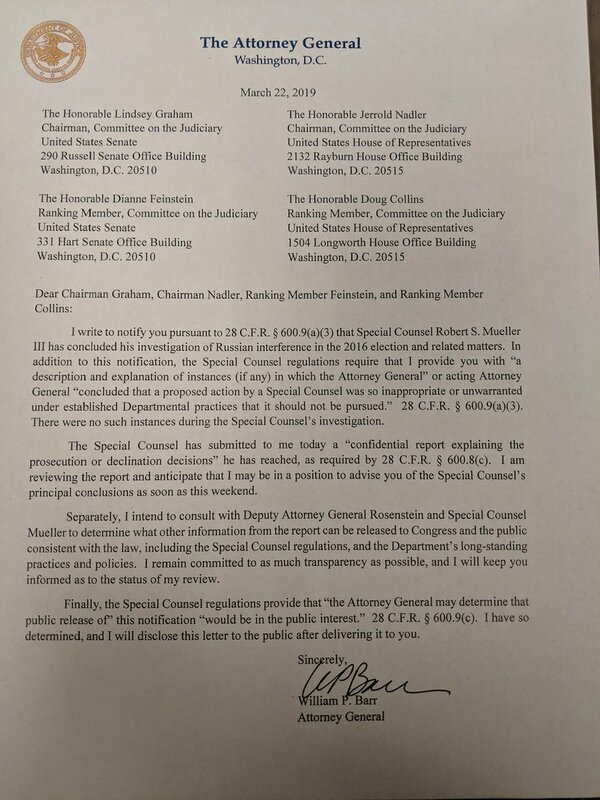 Muellers report has been turned over to Attorney General Barr. Under the law HE is responsible for a report on the report to congress. Damned if I do, Damned if I don’t . . . .
Its all the same anyways…now for the speculation…if he is actually done and no more indictments then i wonder if he didnt find anything major. What a lot of people fail to keep in mind is how narrow Mueller’s scope was. His portion is done. The fact they haven’t moved to sentencing Gates or even tried Stone proves how much is still ahead of us from investigations. SDNY and EDVA alone have had multiple referrals from the SCO. Some we know of, undoubtedly many more we won’t know about until if/when more indictments are issued. This is a milestone, yes. But we are still in the first half of this thing. The one thing that leaves me scratching me head, he still has a company owned by a country that is pending before the Supreme Court (they have agreed to hear arguments behind closed doors.) It’s for Muellers Grand Jury. So if he has released his report about Russia Collusion/election meddling . . . it would appear whatever he has up his sleave on that, isn’t about the election. Interesting. 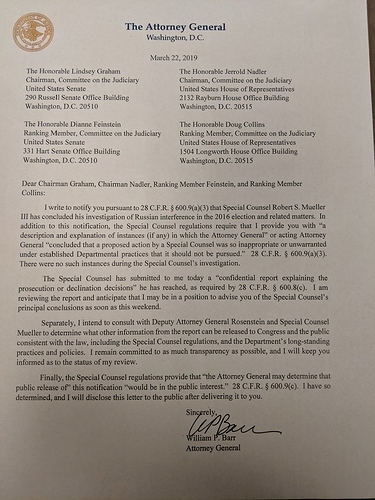 The letter from Barr to the Judiciary committees indicates that Mueller has returned a “confidential report explaining the prosecution or declination decisions” reached byt the OSC. That tells me it covers issues that were not prosecuted and why. Those will be the things I think that are subject to the DOJ guideline Rosenstein referenced about not discussing publicly activity that won’t be prosecuted, but it is included in the report. I figured it would not be covered. Barr has his work cut out for him, but if my surmise is correct, I’m glad the report covers both what is or will by prosecuted and what won’t by prosecuted. If somebody thinks i’m misinterpreting, let me know. CNN is reporting that DoJ officials report Mueller is still Special Counsel. That signals to me the investigation is done, though the litigation may not be. Barr’s letter to the chairs and ranking members of the two Judiciary committees. Gonna be a newsy weekend and week to follow. 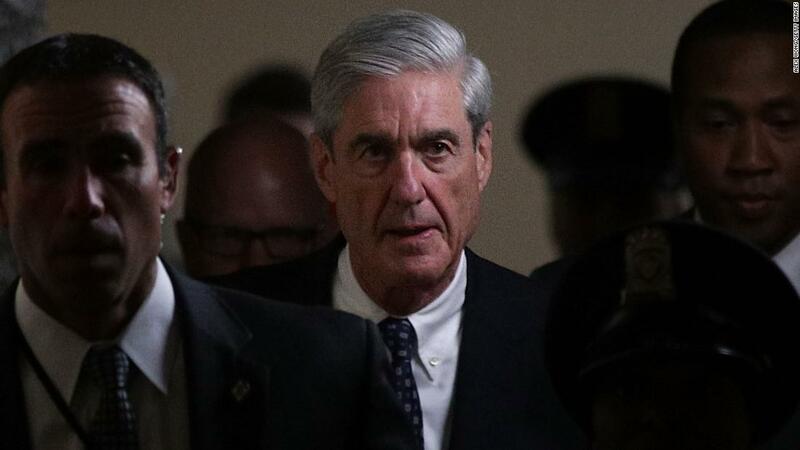 If Mueller has determined no collusion has taken place, can Trump and his acolytes still call it a witch hunt or will they accept that it was a thorough and exhaustive investigation? Many cases have gone to other offices. I also don’t know that just because the report has been given to the AG other indictments won’t be forthcoming. 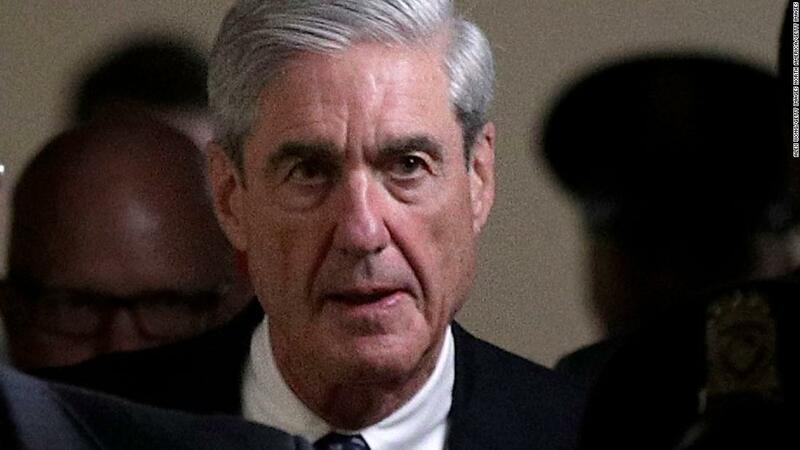 No, we never meant Meuller. We meant the media is conducting a witch hunt. DoJ is saying no further indictments are recommended. Hard to parse that though. Further on top of what? Are there any sealed indictments already in the can? Does that exclude indictments from investigations that may have been referred to other districts of the Justice Department? Hmmmmm. I do not think this message means what a surface reading of it would suggest. No further indictments coming from Mueller’s team. Says nothing about SDNY which always seemed to be a bigger problem for Trump, since the’re investingating his company and his money.